Friend of the delinquent boy - the original motto of Optimist International - came to mind last night I watched a fantastic display of athletics, training, sportsmanship and mentoring at the Idaho Silver Belt Invitational Boxing Tournament presented by the Caldwell Optimist Club. There were 22 bouts with boxers weighing anywhere from 70 lbs. to 185 lbs. and up to 18 years of age. Most were young boys, but four girls competed in 2 bouts. All were fun to watch. The Caldwell Optimist Club adopted the PAL (Police Activities League) Boxing program about 20 years ago when they decided to build a boxing ring for the program. Trainer Manny Alvarez has been with the program since its inception. According to Manny, he teaches his players they must first be good at home, then school and then they can box. Some say the program has kept many kids out of trouble and away from gangs and crime. The Idaho Silver Belt Invitational drew teams from Boxing Clubs in Nevada, Utah, Montana, Oregon and Idaho. It is sanctioned by the US Boxing Association. Retired professional boxers Kenny Keene, Cleveland Corder and former Olympic boxer Jack Egan were their to show their support. About 500 people attended the event. Caldwell Optimist Club President Larry Blackburn says the event was so successful they hope to expand to two days in 2011. I know I plan to be there to show my support of how the Caldwell Optimist Club demonstrates they are truly Friends of Youth. This video explores how Facebook, Farmville, Mafia Wars and other virtual gaming activities have succeeded in bringing imaginary competition into our lives and the impact it has generating leads, making money and developing users that they often refer to as members. It's a bit long, but a good look at how virtual and real worlds are coalescing. The presenter says we need to start looking beyond Facebook for the next unexpected phenomenon. I wanted to share it with my readers here because all service clubs are experiencing change. Boomers are aging and the generation that has never known a world without the internet is emerging. Will we be able to meet somewhere in the middle where our social lives aren't only online? I hope so. The Sunrise Optimist Club of Fort Morgan, Colorado recently hosted more than 130 children in the 4th Annual Brain Bowl. Students in third and fourth grades and fifth and sixth grades competed against each other to answer questions posed by the judges. The Brain Bowl is team play format. The first round consisted of 30 written questions. They were followed by four rounds of oral questions. At the end of the evening, two teams came out on top. 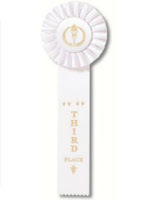 First, second and third places were awarded in both categories. Shown in the contributed photo is the first place Third and Fourth Place team: Hallee Shaver, Kelsey Shaver, Merrick Adams, Jon Gertner, Simon Graff and Brook Kaiser. Strong Minds - The Vista Optimist Club encourages strong academics and funds an annual $7,500 scholarship. They have a perpetual endowment fund that grows each year from successful fundraising efforts. Strong Bodies - The Vista Optimist Club offers Little League baseball and manages the Vista Optimist Field of Dreams baseball fields and stadium. Strong Character - The Vista Optimist Club teaches teamwork, discipline and perseverence through organized sports programs and they inspire communication skills through the oratorical contest. These experiences help students develop integrity. One thing that is unique about the Vista Optimist Club is their fundraising efforts. 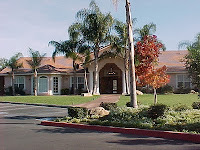 First, they own and manage the beautiful Vista Optimist Clubhouse facility (photo) that is suitable for elegant weddings. And second, they host an Annual Wine Festival that encourages visitors to sample local wineries and restaurants. By engaging with the local community and providing a marketable service, the Vista Optimist Club succeeds in their mission. Optimist Clubs are in the throes of their annual scholarship programs. Students in Canada, United States and the Caribbean are competing for prizes in essay writing and public speaking. Deaf and hard of hearing students are also competing in the Communications Contest for the Deaf and Hard of Hearing. The topics this year are related to internet safety and correspond with the new Internet Safety Program launched by Optimist International in July 2009. This post is a nod to the inspirational speeches and essays that the students are presenting in their communities. It is also a shout-out to the many people who collaborate to make the contests successful. Optimist Clubs rely on schools, teachers, counselors and parents to get the word to the children to participate. They rely on business people, university faculty, journalists and other professionals to help with judging. And some even rely on other community organizations to assist. In St. Paul, Minnesota, the West St. Paul Optimist Club is collaborating with the Toastmasters to judge the oratorical contestants and help send them on to the next level with a well-rounded critique. Students can earn up to $2,500 in scholarships for public speaking and $6,000 for the Optimist International Essay Contest. 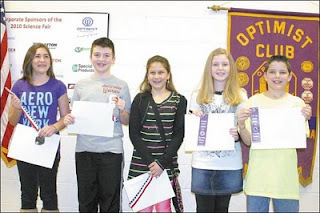 The Optimist Club of Duncan, Oklahoma received 220 entries in the annual Stephens County Science Fair. Students from fifth through eigth grade participated and first, second and third place winners were named in each age group for life science, engineering and physical science categories. The judges also named top entries from all categories for Innovation and Communication. Collaborating organizations also named top entries for an entry by a young lady, an agriculture science award, hospital scene award, science and engineering, environmental and energy awards. Photo courtesy of the Duncan Optimist Club. Left to right are the fifth grade winners: Darien Vassella, first; Graham Cox, second; Perri Presgrove, third; Sydney Ashton, honorable mention; Aubrey Edmonson, honorable mention. Some parts of the country have been seeing so much snow this year that teaching kids to ski seems like it would be an especially good thing. In Rapid City, South Dakota, the Optimist Club certainly thinks so. 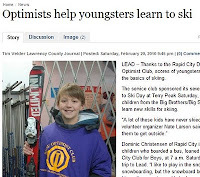 The Rapid City Optimist Club recently held the 7th Annual Learn to Ski Day at Terry Peak. Twenty children from the Big Brothers/Big Sisters participate in the program. According to Nate Larson, volunteer coordinator, most of these children have never skied before. The day begins when the kids are loaded onto the Optimist bus at 7:00 a.m. for the trip to Terry Peak. They learn at ski school at 10:00 a.m. and then enjoy three hours of skiing with Optimist Club members serving as guides. The kids are then treated to lunch before they have to load back on the bus for the trip home. The Terry Peak Ski Area discounts the skiing for the day and many sponsors help cover the cost of the event for the children. Thanks to the Rapid City Optimist Club, Big Brothers/Big Sisters and Black Hills Ski Club for sharing their passion for the sport with others. See an article from the Rapid City Journal here. The Optimist Club of Meridian, Idaho took third place today in the Annual Meridian Firefighters Chili Cook-off. Twenty-six teams participated and more than 1,200 people attended the event. According to Sue Thompson, Immediate Past President, participating is a fun way to be involved and visible in the community. But it is also a way to talk to people about what Optimist Clubs do and recruit members. "Optimist Club members come from all walks of life, she said. "We have something to please everyone." While cooking chili and networking does not directly benefit children, it does increase fellowship and participation and makes the Optimist Club more approachable. Optimist Clubs are good at serving youths of all ages and abilities. Well how about this event... a Bowlabration? 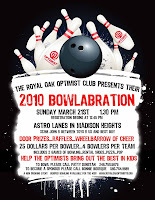 The Royal Oak Optimist Club of Royal Oak, MI is presenting the 2010 Bowlabration on March 21. It is both fundraiser for the many activities that the club performs throughout the year as well as a fun raiser for all who participate. For $100 for a team of four or $25 a person, participants receive two games of bowling, shoe rental, soft drinks and pizza and bumper bowling for younger children. Optimist Club members will ensure a fun-filled day for kids and adults with door prizes, raffles and a wheelbarrow of fun. They encourage you to find out more about what they do and get involved. Visit the Royal Oaks Optimist Club here. Please click on the picture to enlarge and print the flyer. One of the unique qualities of an Optimist Club is their ability to make every child feel as if they are a winner. That is exactly what the Optimist Club of Menomonee Falls, Wisconsin will do at the Annual Tri Star Basketball Contest on February 27. Students will register the day of the event at the Menomonee Falls High School gymnasium. They will participate in the three phases of the contest - dribbling, passing, and shooting - between 8:30 and 11:15 a.m. Each participant will be evaluated within in their own age and gender categories and recognition for participating. The top three scorers from each age/gender group will be announced and recieve awards. The top contestants will have the opportunity to participate in the Wisconsin District competition on March 20. 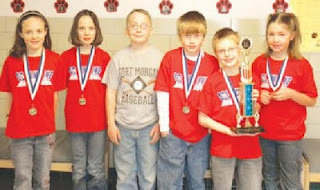 Tri-Star Sports activities are one waya that Optimist Clubs help introduce sports to children. This event does require that the parents supervise their children. It is not a drop-off activity. Students can bring their own ball to practice during sign-up time. But what brought me to their website today was an advertisement for the Young Artists Showcase. 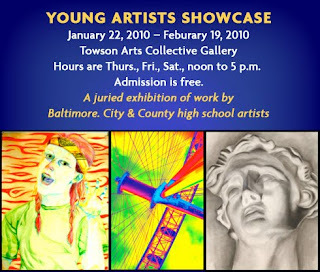 Coordinated by the Timonium Optimist Club and the Towson Arts Collective, the showcase was a juried selection of original, two-dimensional works by high school students in Baltimore and Baltimore County. Eighteen schools and fifty-one students participated. Six students received honors for their work. Best entry in their respective media: Kelsey Heyman, of Owings Mills High School; Gen O'Keefe, of Notre Dame Preparatory, and Rob Payne, of Hereford High. Honorable mention went to Rachel Peichert, of Garrison Forest; Katie Kim, of Roland Park Country, and Brooke Powell, of Garrison Forest School. Optimist Clubs are well known for their hands-on participation in youth-serving projects. Nurturing creativity through art exhibits is one way that Optimist Club projects seek to engage all types of students. What a great activity! Hurry ... the exhibit ends on February 19. Mark Claussen, Governor of the Nebraska District, shared on Facebook today that the Nebraska Optimist Clubs were invited to the Nebraska Governor's Conference on Service Leadership to discuss JOOI service activities with adult participants. They will also be providing some volunteer services during the confereince. According to Mark, this is the third time for their program to be recognized at the Governor's Conference. In 2007 they were presented weiht the First Lady's Community Service Award. Congratualtions Mark and to all of the JOOI members that you represent. The Governor's Conference on Service Leadership will be held April 8, 2010 at the Doubletree Hotel, Omaha, NE. It organized through ServeNebraska. Here is an interesting thought from the Westside Optimist Club of Evansville, Indiana. If you are having difficulty attracting members and guests to your weekly meeting, consider announcing your meeting in the paper as the "Friend of Youth Luncheon Meeting." It promotes Optimist Clubs motto and by making it cause-related may attract persons who want to connect with others for a reason rather than simply meet for lunch. Do you see a difference in connecting vs. meeting? One is active while the other is passive. What does your Optimist Club do? Are you actively engaging your Optimist Club members with a cause and giving them a reason to come back? Think about it. We have one of the greatest causes around - the betterment youth in our own communities. Style your club meetings to ask questions, provide resources and inspire involvement in your cause. Your membership will grow. I promise. The Noon Optimist Club of Wausau, Wisconsin has been holding the Wausau Ice Fisheree for 34 years. It's their way to teach ice fishing to children under 17 years of age while sharing a love of the outdoors. All participants enjoy hotdogs, hot chocolate and an ice fishing contest. The largest fish is mounted by a local taxidermist for the top winner. Sounds like a rewarding Sunday afternoon to me! 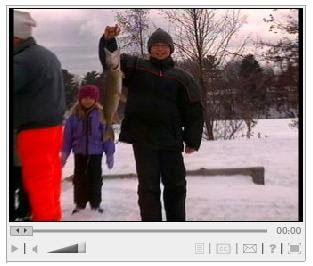 Click to watch a video of the Wausau Ice Fisheree here. Yes, I know it is Valentine's Day, but I didn't see a Valentine's Day story about an Optimist Club! However, I did find an Optimist Club that was busy preparing for the next celebration of the year. The North Strand Optimist Club of South Carolina is busy preparing for the Annual St. Patrick's Day Parade. And just for good measure, the Grand Marshal of this parade will be dubbed "Friend of the Year" in a nod to the motto of all Optimist Clubs. Optimist International's motto is "Friend of Youth." The North Strand Optimist Club took this motivation to create the "Friend of the Year" award. Students up to age 19 can be nominated for this honor. Optimist Club member and Parade Coordinator Kelly Mathews said, "This contest is not about the person who is the most popular or involved in the most activities, but about a child who is an inspiration to those around them." “We are looking for a heartwarming story," he continued. "We want your heart to be touched and our hearts to be touched. We want to know about a child who is special and has done something that has touched the hearts of those around them." In addition to being named Grand Marshal and Friend of the Year, the honoree will also receive a $500 savings bond. Nominations should be in writing and should include the student's contact information, photograph and a story about leadership and attitude that depicts something special that the child does like visiting the elderly or caring for others. Nominations must be received by February 19, 2010. Please click here for more information about the North Strand St. Patrick's Day Parade and Friend of the Year contest. Or read the story here in PDF. Please take a look at another interesting Optimist Club newsletter. As you scan through the McFarland, Wisconsin Optimist Club Newsletter, think about how busy an Optimist Club can be. What struck me was how important it is to have regular club meetings. I know there is wave of thinking that says meetings are out of style; that people are too busy to come together for meals and fellowship. I think just the opposite and one look at this busy schedule will illustrate this for you. Do you agree? Are meetings important? Please comment below and let us know what you think. The Optimist Club of Bossier City, Louisiana recently recognized 16 students as Rising Stars in a program coordinated by the Optimist Club and endorsed by the Bossier Parish School Board. The Rising Stars Program is designed "for youths who have made the decision to take their life in their own hands and become a better students and citizens." The group is made up 9th and 10th graders and are often students who have never been recognized before. They are honored for improved attitudes towards teachers and school and increased self confidence and self esteem. The selection criteria takes into account behavior, grades, attitude and being drug free. School Superintendent Bettye McCauley thanked the Bossier City Optimist Club as she praised the students. "We want these kids to know how we appreciate what they have done with their life," she said. The Junior Optimist Club from the Plainfield Middle School in Plainfield, Indiana shared the joy of reading recently with the school district's developmental preschool. They visited the school to deliver blankets made with a community grant that promotes Youth as Resources and while there they played games and read to the younger kids and helped them with an impromptu slumber party. Junior Optimist Clubs are part of the Junior Optimist Octagon International JOOI program with Optimist International. One of their signature programs is the JOOI of Reading. Photos courtesy of the Flyer Group. Another Optimist Club is promoting literacy as they gear up for National Reading Month. The Auburn Hills Optimist Club and the City of Auburn Hills, MI have partnered up for a book drive to benefit the Will Rogers Elementary School. 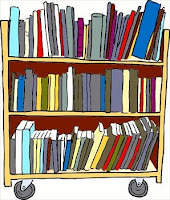 They are collecting new and gently used books from residents and businesses to be given away during March. Many schools promote March as National Reading Month with special events and activities aimed at literacy and reading. Optimist Clubs are well known for their active work with children. Sharing the joy of reading promotes an activity that is both useful and fulfilling throughout their adult lives. "This book has been released into the wild by the Mad Hatters Optimist Club of Las Cruces. PROMOTE LITERACY!! Let a child catch YOU reading!!" I have no idea what it means for this book to be "released into the wild" by this Optimist Club, but I do know that reading is a good thing. Helping children to discover the joy of reading is an even better thing. The Mad Hatters Optimist Club of Las Cruces, NM has been involved in literacy programs since being chartered in 2007. They have held book drives; they promote the Optimist International Essay Contest, and have a lot of fun celebrating Lewis Carroll's birthday, tea party and all. Adults, children and reading. What a great mix. Optimist International is well known for the junior golf program known as the Optimist International Junior Golf Championships. Each year, players through age 18 qualify in tournaments held throughout North America and the Caribbean to play in the championships held at the end of July at the PGA National Resort and Spa. Golfers from countries where there are not tournaments also qualify with at large entries. There were thirty-eight countries represented in the 2009 tournament. The qualifying tournaments have been finalized. Please find an Optimist International Junior Golf Championship qualifier at this link. Find out more about the tournament schedule with the fact sheet. In addition to the Optimist International Junior Golf Championships, golfers will have the opportunity to experience a new championship tournament in 2010. Presented by Seminole Hard Rock Gaming, young golfers will also participate in the Optimist World Golf Cup. Ten teams, representing ten countries will play in the inaugural event. Optimist International has been a leader in youth sports and junior golf since 1978. The Optimist International Junior Golf Championships has expanded every year since 1999 adding more countries, more golfers and more opportunities for tournament play. Service clubs do so many good things in their communities. Unfortunately many local governments, newspapers and citizens fail to make the connection that service clubs equal a better quality of life. We may talk and talk to our newspapers, but often we end up publishing our own activities just to get the word out. My appreciation goes out to the newspaper for highlighting these service clubs and my gratitude to the members who make their community a better place to live. Link to the article in PDF format. I don't think that we've had one of these posts for a while. Sixty students from five elementary schools were recently singled out for being "portraits of true optimism in their classroom, homes and communities." Most impressive, more than four hundred people turned out to see the Roseville Optimist Club in Macomb County, Michigan celebrate those children in an awards ceremony at the middle school. Roseville Public Schools Superintendent John Kment said, "The good things kids are doing strongly outweigh the bad and it's refreshing to know that the Roseville Optimist Club supports our students and recognizes the positive they do in the classroom." There are many negative influences on our childrent today. Many Optimist Clubs try to reverse that negativity by performing at least one youth appreciation project each year. I really enjoy the ones like this one - the ones that recognize children just for doing the right thing and being good kids. Thank you. Why not join an Optimist Club today? The Optimist Club of Sandy, Oregon hosts a monthly Bring Friends potluck dinner where collaborating service clubs and family members can often be found enjoying each other's company. In January they offered some special entertainment from a local bluegrass band the Why Nots. 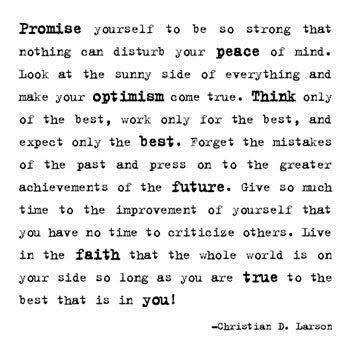 I'm choosing to expand that question to "Why not join an Optimist Club today?" Special activities like the Bring Friends dinner help clubs form traditions and build friendships. Both are necessary to make people feel like they are a part of the group and enhance membership retention. People join clubs where the members are happy and open to newcomers. What have you done to make your Optimist Club approachable? Have you smiled and asked a friend, "Why not join us today?" Find an Optimist Club near you to visit. Why not? Children are born happy. It's up to to the adults in their lives to help them stay that way. The beauty in that statement is it only takes a little focused attention to help them smile and thrive. According to the Mayo Clinic, laughing will help you reduce stress and feel good too. Enjoy! One of my favorite reasons for belonging to an Optimist Club is the ability for our clubs to do what is important in our community. That varies from Idaho to Florida, Canada to the Caribbean. Our cultures are different and our priorities vary on how we will bring out the best in children and share our Optimism. A lot of projects come across my desk, but this is the first time that a jump rope competition has been submitted to me. And what a jump rope competition it is! The Optimist Club of Brighton, Michigan sponsored the 2010 Michigan Jump Rope Invitational. Together with Livingston County and the Jumpin'Allstars, the Optimist Club welcomed teams from all around Michigan for the state tourney sanctioned by the USA Jump Rope. This is one way an Optimist Club can support youth sports for girls and boys. You can find out more about the JumpinAllstars here. The Optimist Club of Dundalk, Maryland honors members of the community for being Outstanding Citizen of the Year and Humanitarian of the Year. These awards represent two ways they can recognize the efforts of others, residents and non-residents, Optimist Club members and non-members, for making the City of Dundalk a great place to live. Does your Optimist Club take time to recognize others? By recognizing community builders and leaders, your club can gain valuable exposure to others who share similar ideals and goals. Throw a party, invite everyone and let them know how the Optimist Club encourages positive interaction and programs between youths and adults. You might even share the Optimist Creed and invite them to be a part of the upbeat Optimist Club movement in their town. The Dundalk Optimist Club is currently accepting nominations for these prestigious honors. Find out how to nominate someone here. The 2010 Optimist International Oratorical Contest is underway in Optimist Clubs throughout the United States, Canada and the Caribbean. Students under 16 are competing for 48 scholarships of $2,500. The topic is Cyber communications -- progress or problem? The Optimist Club of Alexandria, Louisiana has completed their contest and advancing to the next level of competition is Lylla Younes. Lylla explained, "In my opinion, cyber communication can be a problem because it takes away from basic human-to-human communication and experiences." Now through May, we hope to highlight some words from more speakers in clubs around the globe. Please be sure to send us some pictures and quotes from Optimist Clubs in your community. The Optimist International Oratorical Contest begins at the Optimist Club level. Find an Optimist Club near you to get started today.